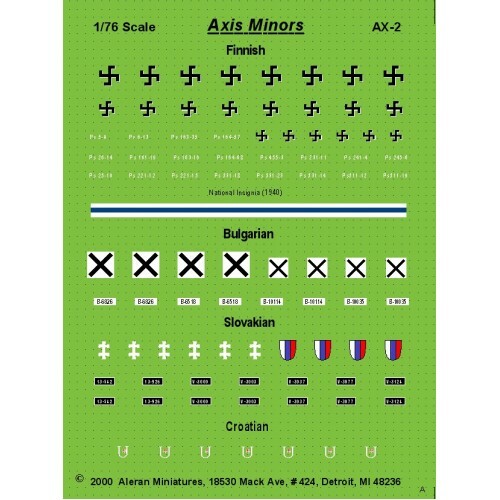 This set consists of AFV Markings for Finland, Bulgaria, Slovakia & Croatia and includes references for markings and placement. Each sheet has on average enough markings to finish up to ten complete models. 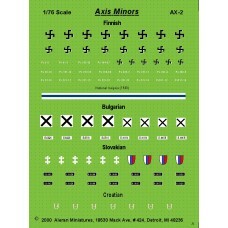 Includes references for markings and placement.